Fresh, leafy spinach gets a kick from hot sauce and chili powder and an added creaminess from Greek-style yogurt in these Mini Phyllo Shell hors d’oeuvres. In a medium skillet, heat olive oil until shimmering. Add chopped onion, oregano and chili powder. Saute briefly until translucent. Add spinach, stirring to wilt completely. Add toasted nuts, hot sauce, salt and pepper. Allow to cool. Combine cooled mixture with Greek-style yogurt. 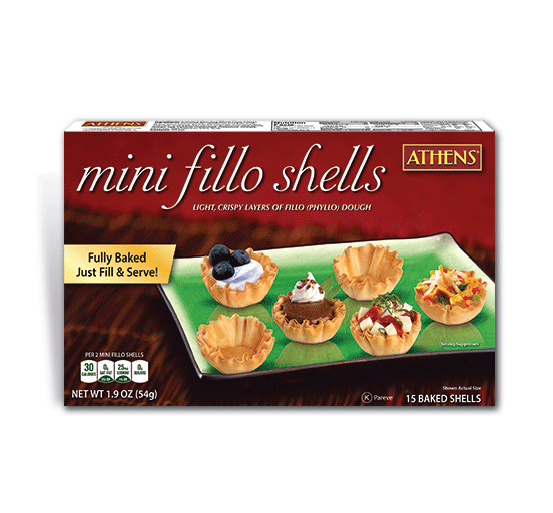 Spoon mixture into Athens® Mini Phyllo Shells. Serve any remaining portion of mixture with fresh vegetables. 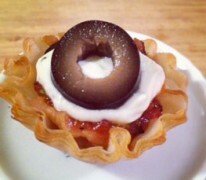 Looking for easy Phyllo dough recipes? 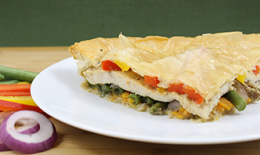 Try this One Dish Phyllo Simple Supper recipe.